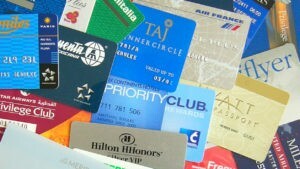 Can You Bequeath Your Frequent Flyer Miles? If you’re a frequent airline traveler, one of your estate planning concerns may be what will happen to your accumulated miles once you’re gone. They could be worth thousands of dollars, so you probably don’t want them to just disappear, but some airline policies say that’s exactly what will happen. The law doesn’t consider airline miles assets that can be bequeathed directly to heirs, but there are still some steps you can take to help ensure your miles live on. It all starts with examining the airline policies in question. As you can see, policy terms vary, and they may vary even further depending on your agent. Airfarewatchdog.com has found differences between written policies and what customer service representatives told them over the phone—a discrepancy that played out in the story of Kathe Holmes, who successfully claimed her late husband’s Alaska Airlines miles with minimal effort and no additional fees, even though that seemed to go against official policy. The main takeaway is that although airline policies may say they don’t allow miles transfers after death, employees often have the discretion to approve them. Still, there’s no sure way to know whether your airline will work with your loved ones regarding the transfer of your miles. One way to better ensure your miles get transferred is to include a provision in your will that makes your wishes clear. This step is especially important if your airline requires a copy of a will as documentation, but it can be helpful in any event. Another option is to leave your account number, login and password to the person you would like to be able to use your miles. Some airlines permit such transfers and usage of miles after the account holder’s death. In either scenario, you should talk to your loved ones about your intentions so they know to pursue the issue in your absence. Also, if you’re the one trying to claim miles of a deceased person, you should understand the airline’s policies before offering information about the account holder’s death, as the account could be cancelled immediately, leaving you with no recourse. Frequent flyer policies can change at the whim of the airlines even as you are living, so another idea to keep in mind is to use the miles now and create experiences with your loved ones rather than plan to pass the miles on later. In doing so, you can be absolutely sure your miles aren’t lost; an added bonus is that you can also share moments none of you will ever forget. If you have any concerns about frequent flyer miles, contact our office at (913) 871-2188, and always be sure to include all your assets, even your airline miles accounts, when discussing wills, trusts, and estate plans.